Here at Travelwheels we have just released some new ex-hire campervans for sale direct to the public. These Automatic campervans for sale in Sydney are especially popular with locals who want to buy a used campervan. For more details, why not call Shaun on 0421101021. You can email [email protected] for prices and to arrange a test drive. 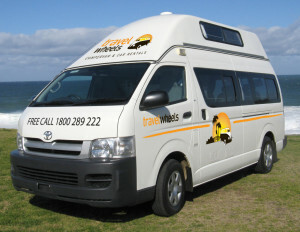 Why buy an Automatic campervans for sale in Sydney with us? Toyota Hiace Automatic Campervans are the number one choice in Australia. They are the undisputed leader in the Australian 2nd hand market. This ex-rental used automatic campervans for sale in Sydney are especially suited for those wanting a comfortable campervan. These used Toyota automatic campervans really hold their value! As a result, buying a used Toyota Hiace is an excellent investment! In this case, they are known as the gold standard for used campervans in Australia! Furthermore if you have any more questions about this camper, just ask! These are for example Australia’s number one used automatic campervan! They are definitely the dominant market leader! Give Shaun a call on 0421101021 to arrange a test drive in Sydney. 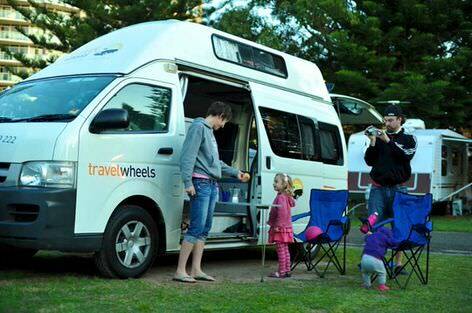 These used Automatic campervans for sale in Sydney are especially suited for families. If you are after buying a family friendly used automatic campervan, then these are great for you! The Government here in Australia have now introduced new child seat belt laws. Therefore Travelwheels Campervans have introduced this 5 Person family friendly Automatic campervan. This model has been specifically made to meet Child Seat Belt Laws in Australia. All our used automatic campervans for sale in Sydney are in great condition. Travelwheels campervans in particular take great pride in looking after these campervans. We remove all the stickers, and touch up the paintwork. They come fully serviced, and road tested. We have service history records for example on file to give you peace of mind. When you buy our Automatic campervans for sale in Sydney they come fully loaded! They are as good as it gets for used campervans for sale in Sydney. Here are just some of the features of these great campervans. Travelwheels used campervans sales are based here in Sydney. The address of our depot is 11-15 Clevedon Street, Botany, 2019, Sydney. However we can deliver any of our used campervans for sale in the following cities, Brisbane, Cairns, and Melbourne.